EAA AirVenture Oshkosh announced that commercial space company Blue Origin will be showing it’s space flown, reusable New Shepard rocket and astronaut crew capsule will be a star attraction at Boeing Plaza during this year’s event from July 24 – 30. Blue Origin, LLC (Blue Origin) is a private company developing vehicles and technologies to enable commercial human space transportation. Blue Origin has a long-term vision of greatly increasing the number of people that fly into space so that we humans can better continue exploring the solar system. www.blueorigin.com. 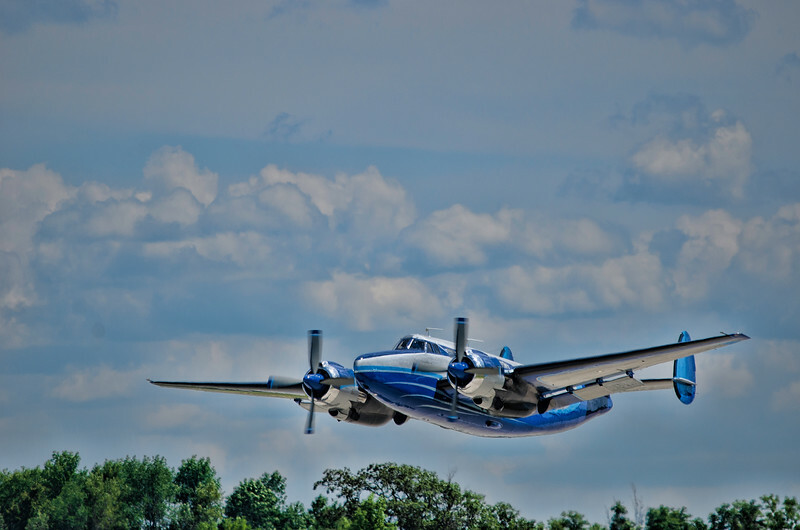 Only 22 Howard 500 executive transport aircraft were produced in the 1960’s and 2 of them appear at Oshkosh. 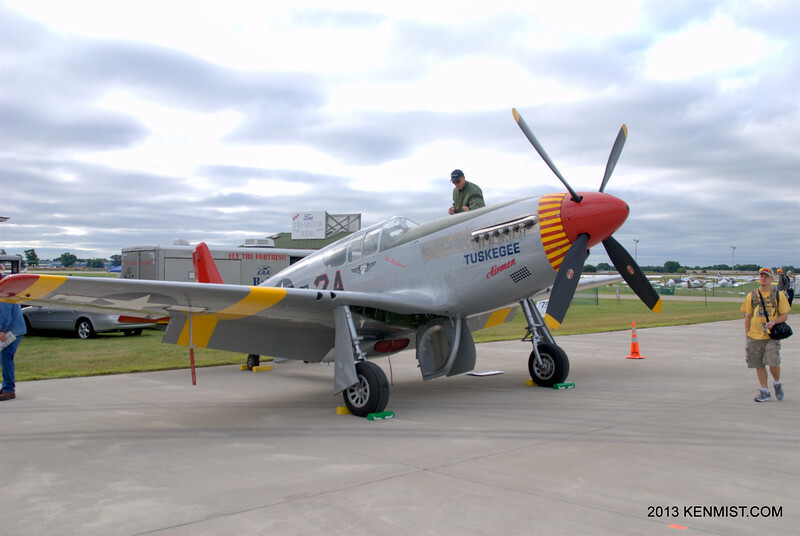 As we celebrate the 70th anniversary of D Day, today’s photo from Oshkosh 2012 is in memory of those who endured the horror of that day. 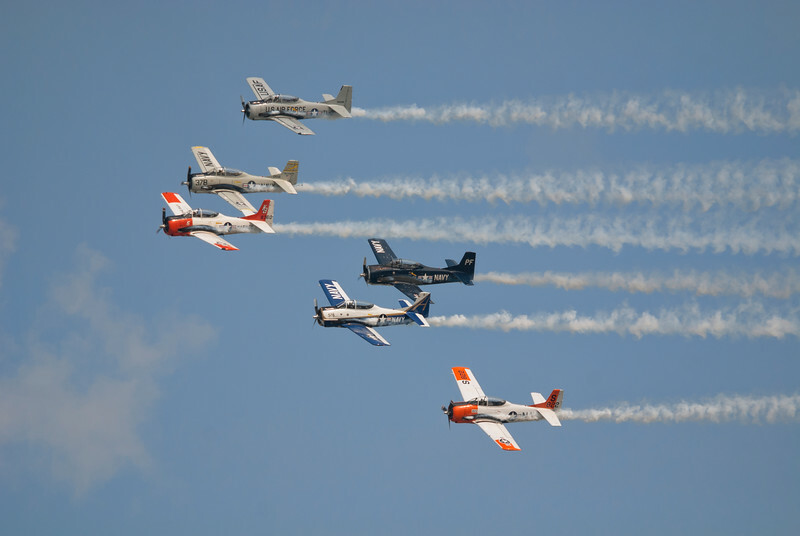 Celebrating 100 years of US Naval aviation in 2011. 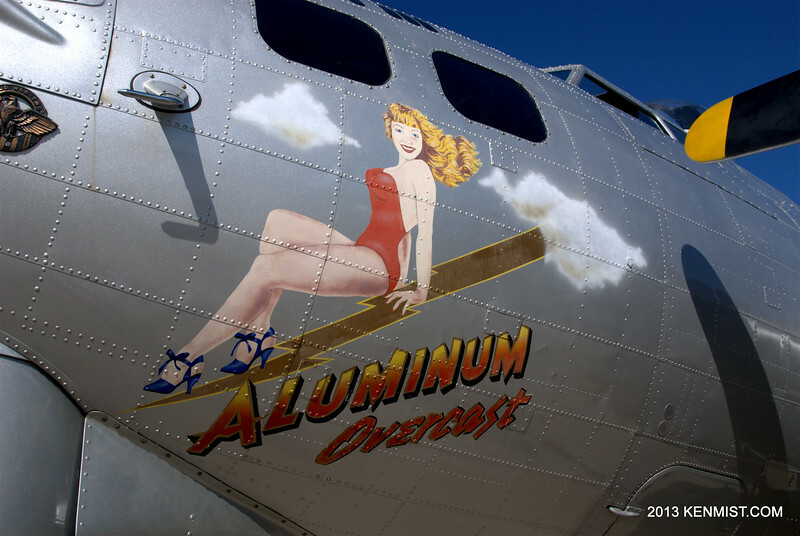 EAA’s B-17 Aluminum Overcast. 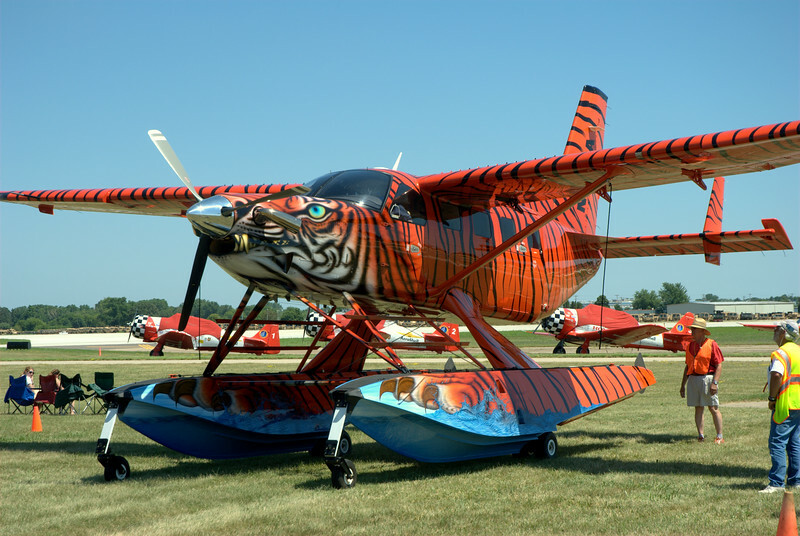 Another great ride at Oshkosh. 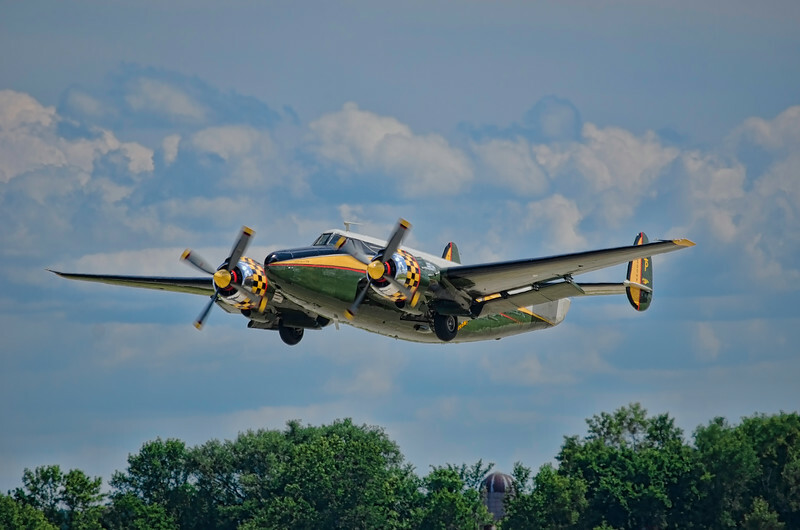 Heading to Oshkosh? 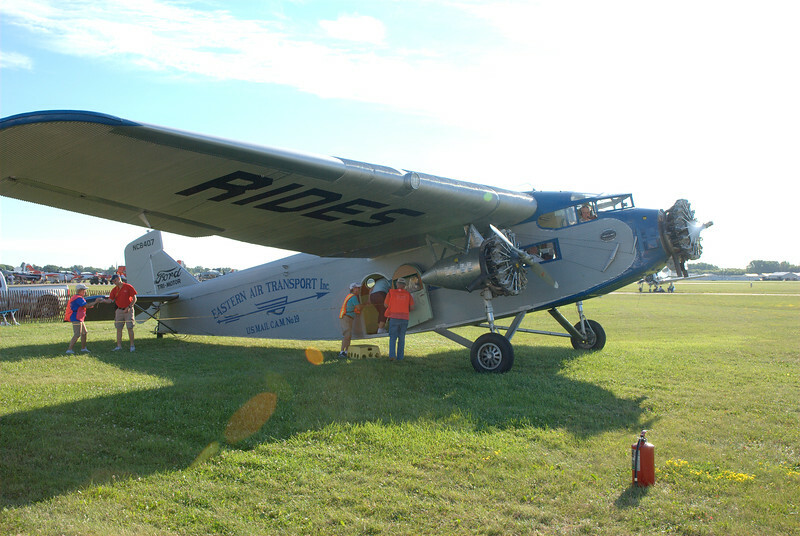 You need to fly the Ford Tri-Motor at least once in your life. 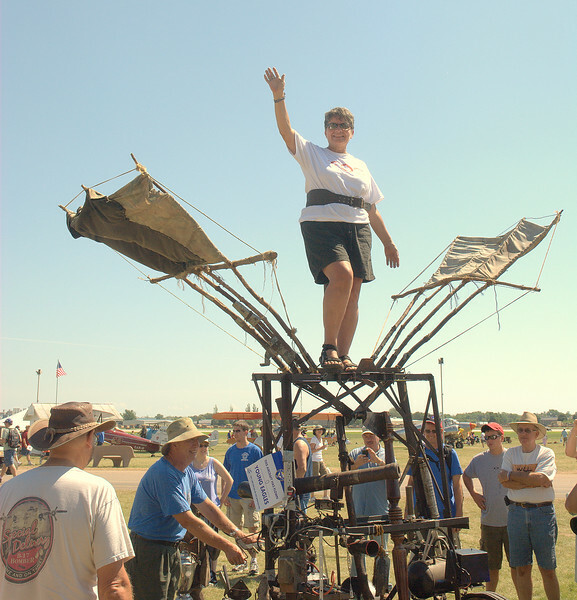 A wing walker at Oshkosh 2011. 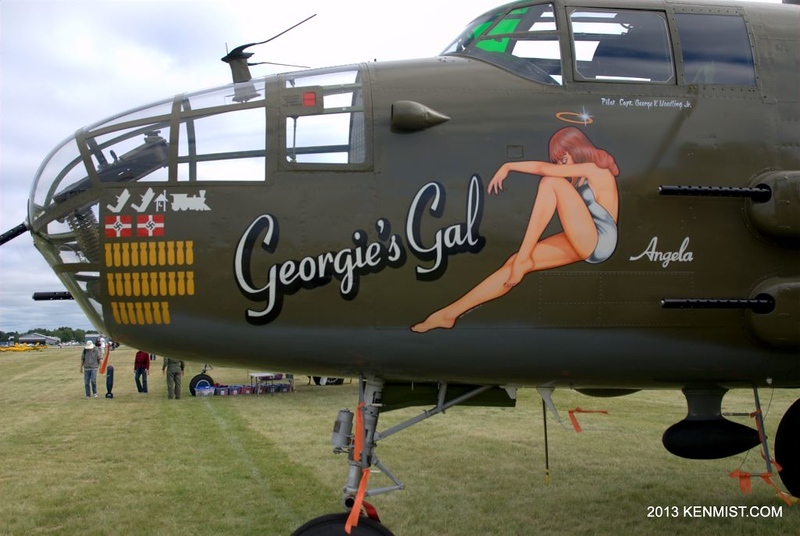 Since I’m heading down to the Liberty Aviation Museum in Port Clinton Ohio later today, it’s only fitting that I highlight their gorgeous B-25J “Georgie’s Gal” which is a regular visitor to Oshkosh. 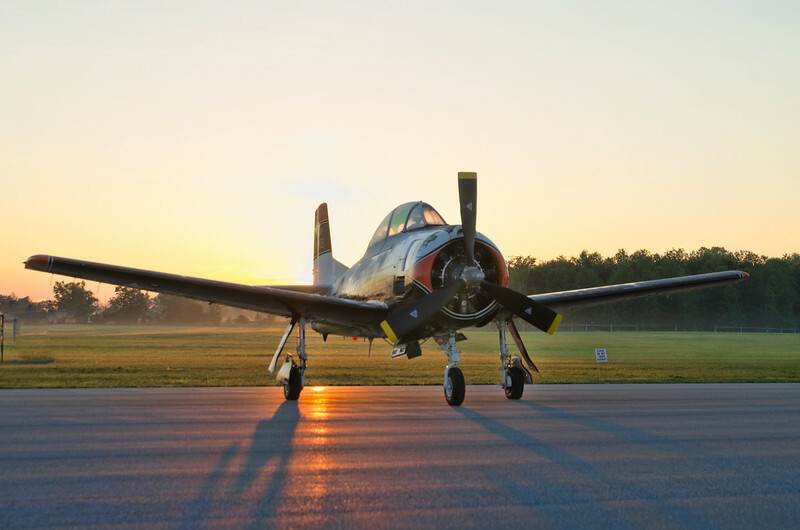 It’s also an opportunity to hang around with the Canadian contingent of the CAF Red Tail Squadron who are bringing the P-51-C and travelling exhibit to Port Clinton to spread the “Rise Above” message to local school kids. Retired USAF Lieutenant Colonel and Tuskegee Airman Dr. Harold Brown is hosting the event.